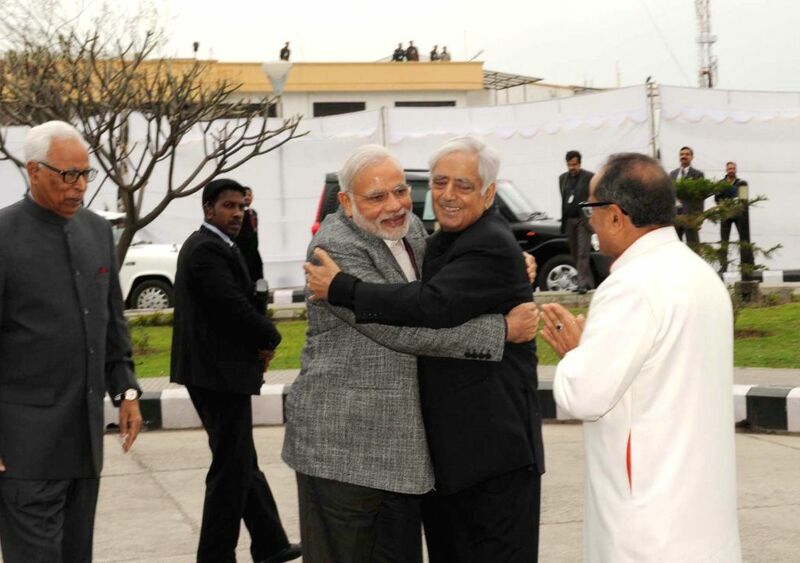 Jammu: Prime Minister Narendra Modi congratulates PDP patron Mufti Mohammad Sayeed after swearing-in as Jammu and Kashmir Chief Minister, at Jammu University, in Jammu and Kashmir on March 1, 2015. Also seen the Governor of Jammu and Kashmir N.N. Vohra and other dignitaries. 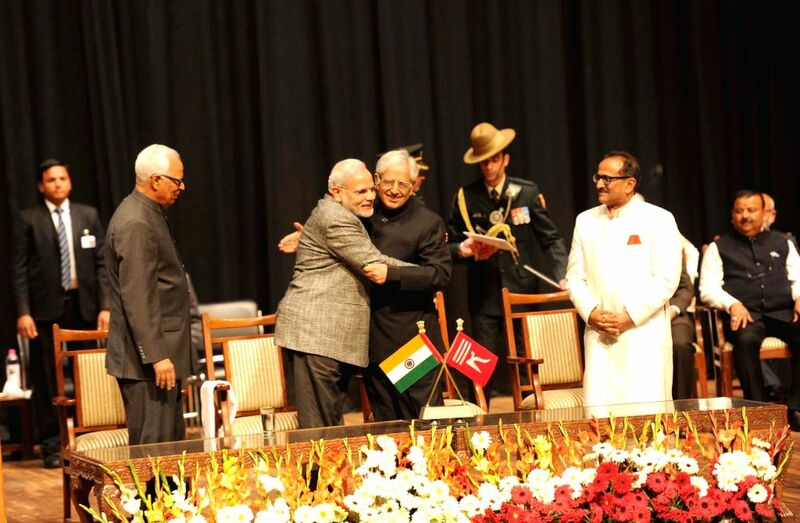 Prime Minister Narendra Modi arrives at the swearing-in ceremony of PDP patron Mufti Mohammad Sayeed as Jammu and Kashmir Chief Minister, at Jammu University, on March 1, 2015. Also seen the Governor of Jammu and Kashmir N.N. Vohra.